and am feeling inspired to read Stephen King as a result. The show itself has "The King" written all over it. Set in a small town in Indiana in 1983, a group of friends band together to search for one of their own, who was taken by a supernatural monster. The story features psychic abilities, government cover-up conspiracy theories, monsters, you name it! One of the episodes is even called "The Body," after the book, which Rob Reiner's film, "Stand by Me" was also based upon. 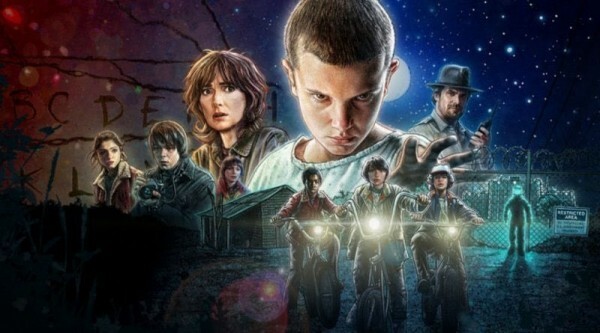 Stranger Things is definitely worth checking out if you haven't already. Anyways, I have placed a hold on the first book in Stephen King's Dark Tower Series, "The Gunslinger." And I hope to begin reading it in the coming weeks. My ambition is to read all 6 books in the series before the "Dark Tower" movie premier next summer 2017, starring Matthew McConaughey and Idris Elba. I know King's books can be lengthy. I'm wondering if you guys think it's an obtainable goal to read them all in less than a year. I'm not the fastest reader. Which Stephen King books are your favorite?